See program description for a limited time offer if you become a member before registering for this event. Do you want to manage your learning projects more effectively? 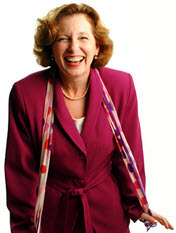 Join us for the Project Management for Learning Professionals 1 Day Workshop with Lou Russell. This workshop is targeted to project managers and team members, training and learning professionals, HR professionals, or consultants. Continental breakfast, lunch, and snacks provided. Note that there is an evening event on October 13... there is a separate registration for that event. Any non-members that pay the non-member price for this workshop are paying enough to include the cost of a 1-year classic membership to Piedmont ASTD. Consider joining before you sign up and enjoy the benefits of membership. Special incentive for new members: If you sign up for both a new membership, PLUS pay the special member price for the October 14th "Project Management for Learning Professionals" workshop, you will get a free registration to the October 13th evening event with Lou Russell. To claim this benefit, just become a new member then send an email to chapteradmin@tdpiedmont.org to register for free!